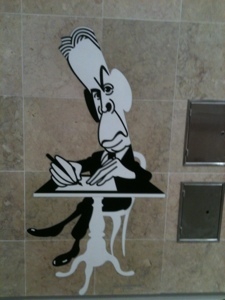 Most of the caricatures have an indication as to what made them famous. 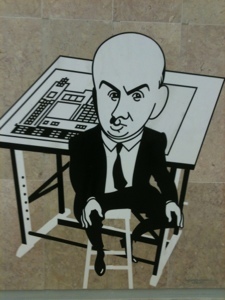 Such as paintings, architectural models or microphones. 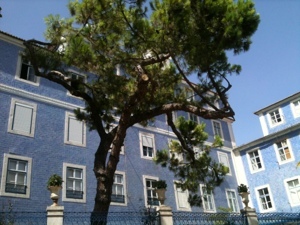 The wide range of cultural icons, such as writers, designers, pianists comedians, actors and even pilots reflects the vibrant cultural identity of Portugal. 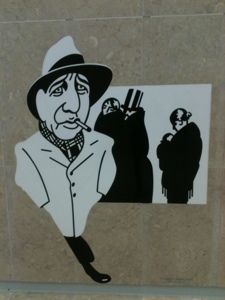 The depictions of such a large number of different characters shows the extent to which these figures are celebrated by the public. 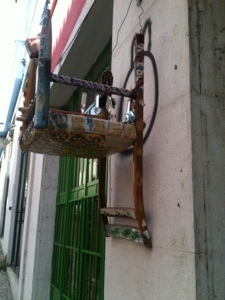 A great deal of work has gone into modernising and designing the cities transport routes, without neglecting the need for creativity in these functional modern designs. 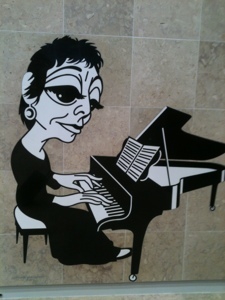 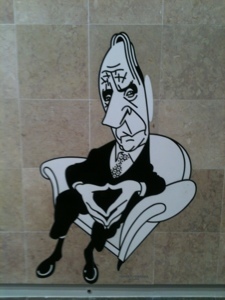 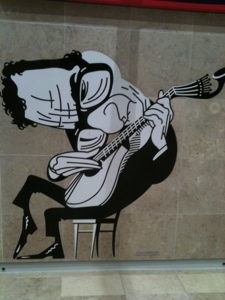 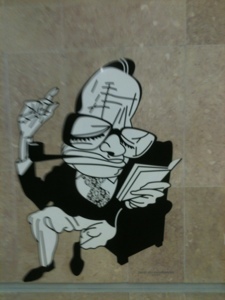 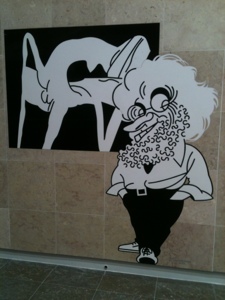 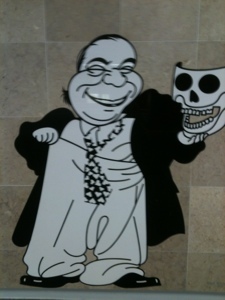 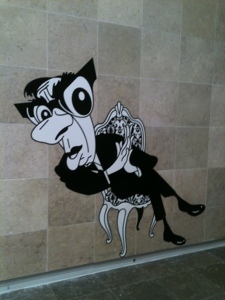 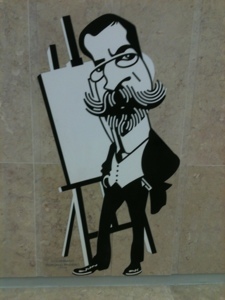 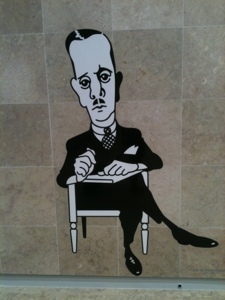 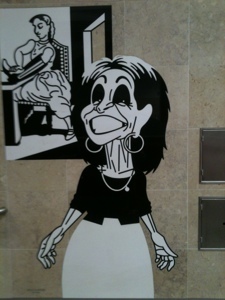 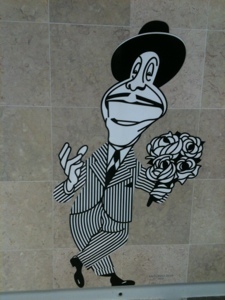 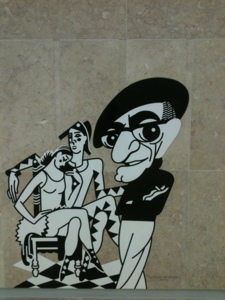 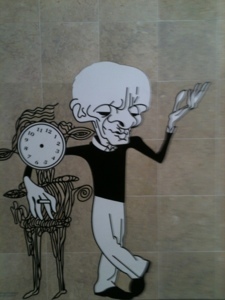 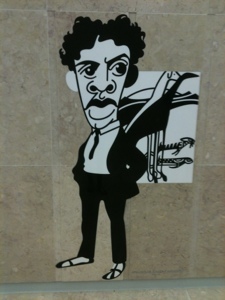 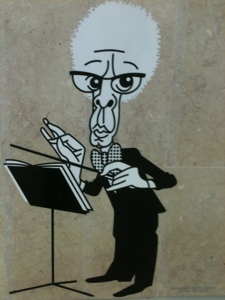 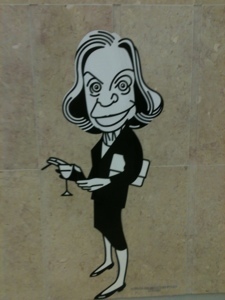 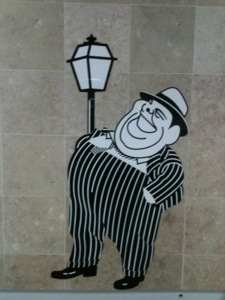 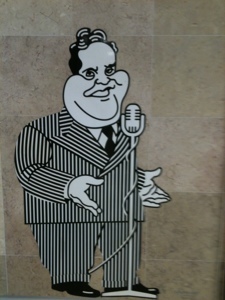 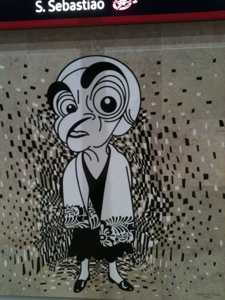 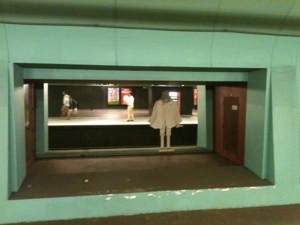 All across the walls at the Lisbon airport metro stop, there are caricatures of famous Portuguese cultural figures. 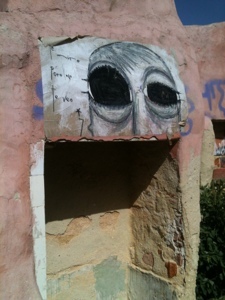 When you think you’ve seen them all you carry on along a long corridor towards the airport and encounter a couple dozen more. 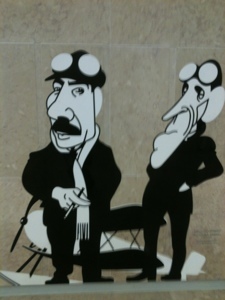 The figures range from painters and poets to architects and pilots. 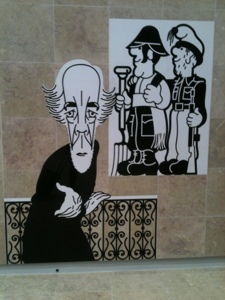 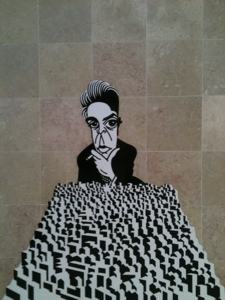 They are all drawn in the same style and each one has a small name tag beside it explaining the subject’s profession. 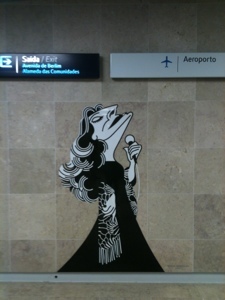 Lisbon’s metro and airport are squeaky clean and very modern, these quirky caricatures give it a comical feel, whilst adding a bit of cultural history to the spacious long corridors of the underground. 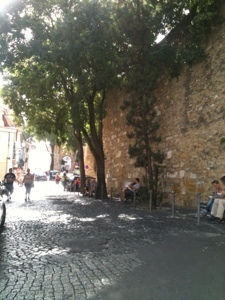 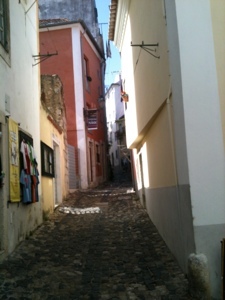 Lisbon has a lot of steep hills, the narrow roads wind up and down the whole city. 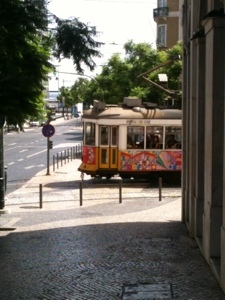 Tiny trams race up and down like little yellow capsules. 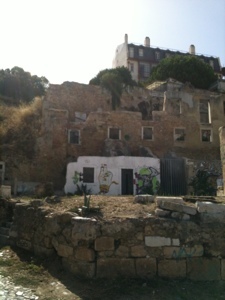 Some buildings are empty and run down, standing next to impressive remnants of the empire and showing flickers of past glory. 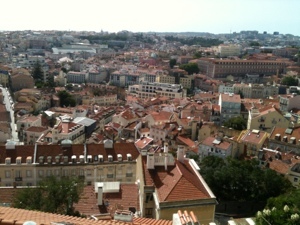 Perfectly pruned parks and white wash squares are dotted around, each one trying to outdo the last.The views from the Basilica da Estrela are impressive stretching out over the whole city. 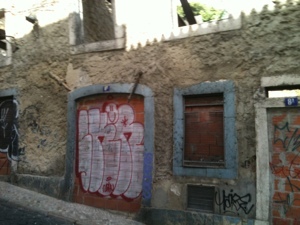 What struck me most were the tiled and colourful houses, giving the streets an almost North African feel. 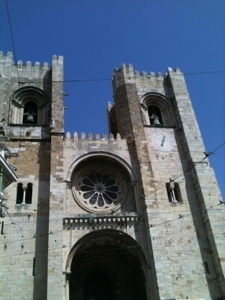 I’m currently in Lisbon in Portugal.This beautiful vibrant city has so much to offer, bustling nightlife, markets, magnificent architecture and glorious views. 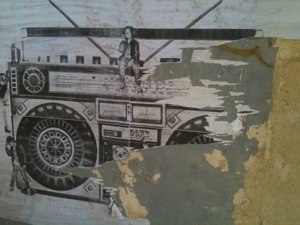 Here is some street art that caught my eye. 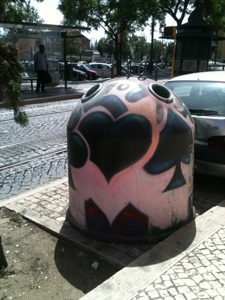 There is a great atmosphere here and they’ve even made art out of these ruins and this big recycling bin. 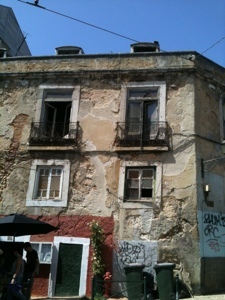 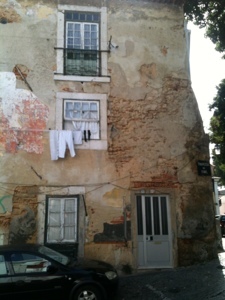 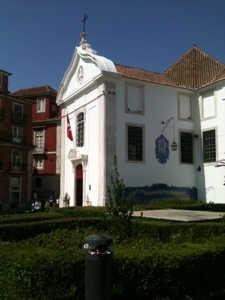 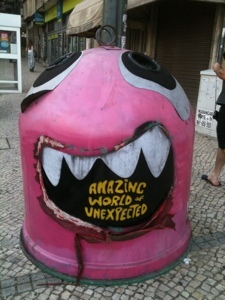 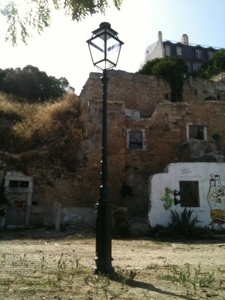 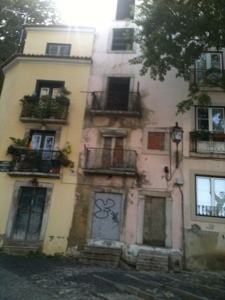 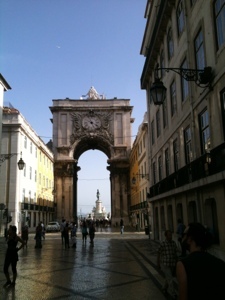 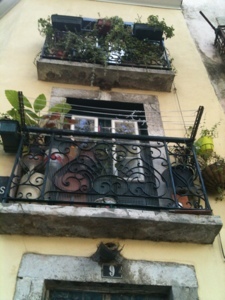 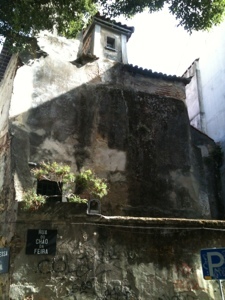 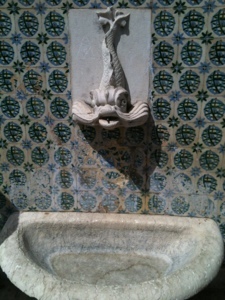 Lisbon is creative and fun and the buildings here speak volumes about their history and culture. 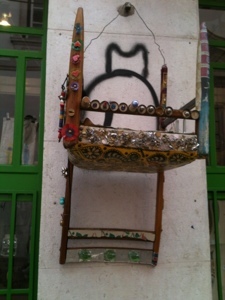 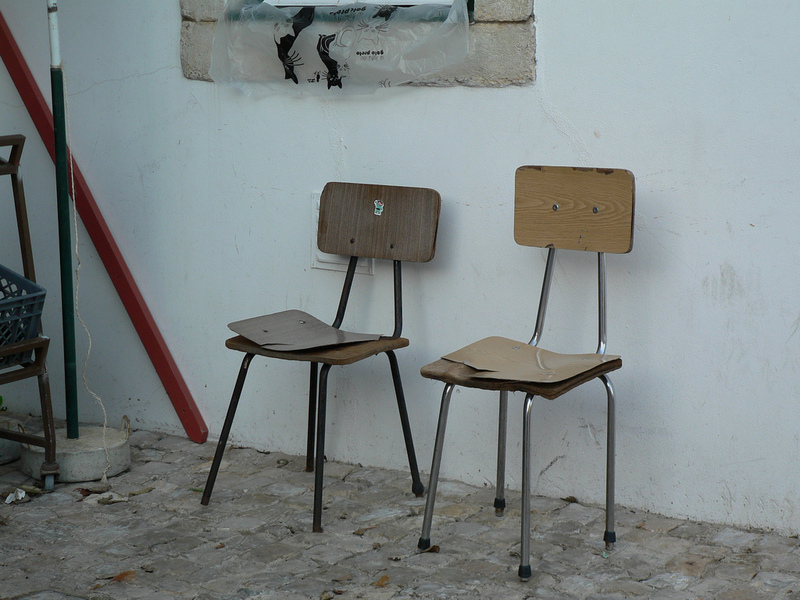 Set of chairs in the Alfama, Lisbon. 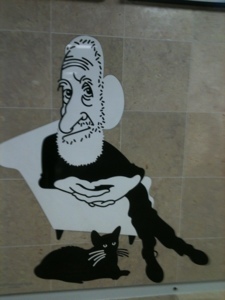 Photo courtesy of hypercatalecta.